2.46 acres of light industrial commercial property located right outside of Crisfield city limits along the main drag of Rt. 413. Property has a nice driveway that opens up huge clearing with a solid gravel roadbed. There is an additional 30.21 acres for $60,000 across the street. Buyers are to incur legal fees associated with renaming the parcels which was split by Rt. 413 when it was constructed 100+ years ago. There is an old survey (1975) but sections of the property have been subdivided off of it since then (in 1985 and 1992). Exclusions All Personal items Are in The Process Of Being Removed. 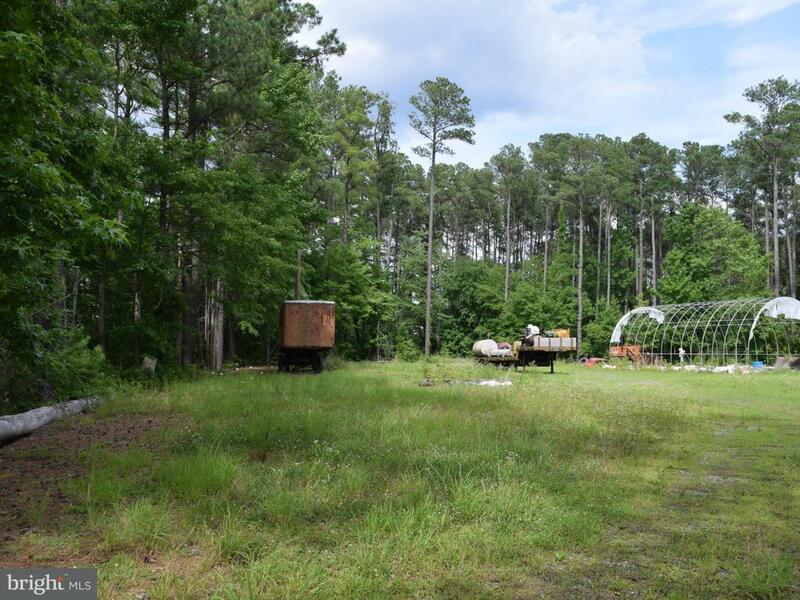 Inclusions 246 Acres Of Land For $40000 And 30.21 Acres For $60000 Both Parcels Zoned I-1Buyers Are To incur Legal Fees Associated With Renaming The Parcels Which Was Split By Rt. 413 When it Was Constructed 100+ Years Ago. There is An Old Survey (1975) But Sections Of The Property Have Been Subdivided Off Of it Since Then (In 1985 And 1992).